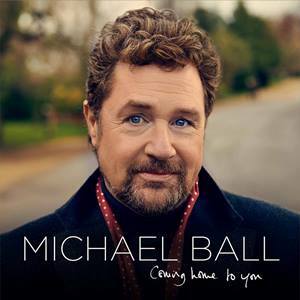 Michael Ball's mother really isn't very keen on the new beard he's currently sporting. "She said it made me look shifty! ", Michael laughs. "I said, 'But I am playing Sweeney Bloody Todd!'" At Chichester Festival Theatre this autumn, we are getting Michael Ball as we've never seen him before. Michael the smiling face of musical tehatre and comfortably one of the loveliest people you could ever hope to interview, has turned vicious serial killer - all part of surprising the fans. Just as no one expected him to drag himself up as Edna Turnblad for Hairspray, now he's turing to the dark side for Sweeney Todd (September 24 - November 5). To prove it, he apologetically wipes away a smear of fake blood from the seat he's just offered me, during a break in rehearsals. "There is a time when it's the right time to do something and I know that this is the right time," says Michael. "But it is still the biggestgamble I have taken as an actor." Which is exactly the attractioin. "I knoew of the show and I knew the music, but I had never seen it until I was in New York. I was doing The Woman in White on Broadway and they were just starting the John Doyle scaled-down version of Sweeney Todd. I know Stephen (Sondheim) and he invited us to the dress rehearsal of the show. We then saw the show and it just knocked the socks off me. "First of all, it is the music. I think it is Sondheim's greates work. 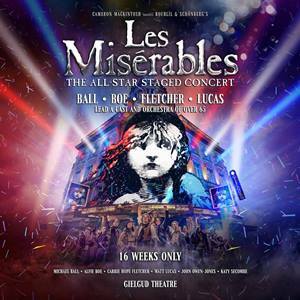 I loved the production, but it made me wonder what it would feel like with a full orchestra and 26 voices and done on the big scale - which hasn't really been done since the original. It wasn't even a big success when it first ran in London. "I realised why it was held in such esteem by performers. Really for me, it was just like with Hairspray. I saw it and I thought I would love to do that, becuase no one would ever have thought of me doing it. The same with this. It is a brilliant piece of theatre. And so the project gained momentum. It just needed a location. Chichester, which has been home city to Jonathan for 16 - 17 years now, proved ideal.
" I had that local connection, and I have always wanted to do something at Chichester, but never had the opportunity. I love it here and I love the work that Jonathan Church is doing there. He has done a superb job, a wonderful balancing act, giving audiences down here the traditional entertainment, but also pushing the boundaries." Sweeney Todd is the archetypal anti-hero, but as Michael says, you've got to accept that there is actually something noble about him. "He is not just a mental serial killer. He has been so abused by the system he suffers a kind of madness, I think. "The important thing for me was to find his physicality. The nature of me is to be ebullient and fund and open, but Sweeney is this brooding menace. Imelda is deeply funny in this, edgy and very dark and funny. But I can't play into that. I am the straight man in this one.!" Michael unhesistantly labels the piece Stephen Sondheim's masterpiece. "I think it has got the scopt, that breadth, the bravery, the daring. People might disagree, but there is so much that is groundbreaking in it in its tone and in its expectations of its audience. The audience can't just sit there. It has to work too. The show is shocking and challenging." Challenging not least for Michael "The challenge is at a technical level in that Sondheim writes melodies and rhythms and lyrics that are so precise and so intricate. You have absolutely got to focus." Inevitably it comes at a busy time for Michael who brought out his Heroes CD earlier this year, a tribute to precisely that - his musical heroes. Also coming up in the release of the DVD for his most recent tour. But at least it's a chance - at last - to perform close to home at West Wittering: "I grew up in Farnham for a while and in Guildford, and this was the seaside for us, the nearest place to come to the sea. Cathy (McGowan), my partner, loves this area and used to come down. When we were lucky enough to think we could have a bolthole, we came here." And very important it has been to. All the best decisions in his life, Michael reckons he has made on the beach there. "It centres you. I realise that that beach has been there a lot, lot longer than me. It puts you into perspective.